My first year of teaching, my administrator handed me an iPad and said, “Play around with it.” Like I had all the time in the world as a first-year teacher to play around with a piece of technology I’d never used! Even though my administration didn’t pressure me about integration right away, I pressured myself. It’s hard enough to battle for students’ attention against romantic relationships, hormones, fatigue and cell phones. Now, we are suppose to hand them another distraction. Being the people-pleasing person I am, I jumped right in. I would love to tell you that technology integrates itself, but it doesn’t. There are no technology faeries that come into your classroom to plug all the wires into the right places, create interesting videos for lessons or keeps students engaged. What I can offer you is five tips that I’ve learned along the way, so you can benefit from my blood, sweat and tears. If you have ever been fearful of integrating technology into your classroom, fear no more. Students act like they know everything there is to know about technology, but they don’t. It is helpful to have clear instructions that you review, model and have accessible throughout the year. I post easy, step-by-step instructions on my wall that are color coordinated and include visual icons. For larger projects, I create videos that go over the instructions using screencastify. This way the student can watch the video as many times as necessary. Students are more likely to ask another student for help than the teacher. I suggest recruiting at least two students (diligent, helpful and encouraging students) per class to become the student tech support team. I try to develop a team atmosphere between them. They have lunch meetings in my class where I feed them snacks and train them on programs that I will be using. They even have a cool name “Browning’s Tech Squad.” They are able to troubleshoot with their peers and decide when a problem needs my assistance. First-year teachers are told that proximity will solve many of their class management issues. The same can be said for integrating technology. My students are in groups of six with their Chromebooks all facing different directions; therefore, I am up and moving around the room a lot. There is no management strategy that is better that your presence around the room, however, there are some ways keep them on track and minimize your walking-around time. During tests, I move students to pair seating. This way I can see all the screens at the same time. Also, they are not allowed to dim their screen and iPads are to be kept flat on the table. Using technology shouldn’t mean doing the same boring worksheets on the computer instead of paper. Be mindful of all the opportunities that technology offers, including engaging videos, music, programs and online communication (like blogs) to help your students relate to the content materials. Finding these resources can be time consuming. Recruit your teaching team to lighten the load. Each of the teachers in your team can research one way to integrate technology into your next unit. By time you start, you can have four or five different engaging strategies or resources ready. Digital citizenship may be the buzzword of the decade, but it is of great importance. Students are often thrown onto computers without any direction on how to behave or perform. Without guidance, students will approach academic digital work with the same relaxed mindset they bring to social media or online games outside the classroom. It is much easier to be proactive and teach them how to be professional than to deal with cyberbullying, or worse, later. 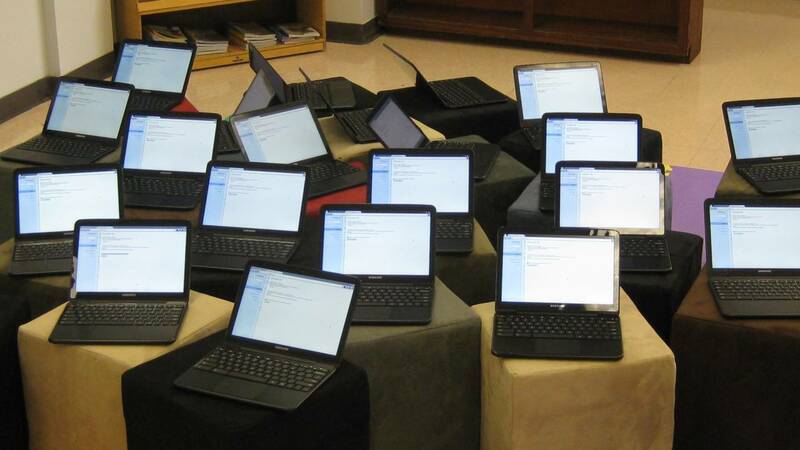 Schools have students sign technology user agreements, but students don’t read them. I have my students create their own contract. First, we watch videos of professionals talking about online practices (inviting a business leader as a guest speaker would be powerful). We read stories about misconduct online. They even share their own experiences. Based on all that information, they create their contract. They take ownership of the level of professionalism they want in their online classroom. You also need to create an authentic audience for their work, and discuss how to develop the correct level of professionalism for each type of audience. My students’ update stream on Schoology is their place to chat. They can tell jokes, post polls, share information, etc. They have discussion posts within their assignments, where their peers are also their audience, but this time their writing is academic and purpose-driven. They also have presentations, interviews and projects that they share with business leaders from the community, and they must learn how to adjust their language, style and content to communicate with them effectively. You might not have technology faeries to help you, but you don’t have to fear fighting for your students’ attention. You can’t plan for every possible scenario when integrating technology into your instruction, but a well-developed and interesting plan can make all the difference. You don’t have to overhaul your whole instructional plan, just pick one thing and try it out. Be patient with your students and be prepared to laugh at the problems (if you don’t, you will cry). And when it finally does work, you can pat yourself on the back, give your students well-deserved praise and share your success with your friendly neighborhood technology faery. I want to thank you for taking the time to write this! I will use your ideas and have become excited about screencastify. I am saving this email to help me prepare for the return to school.